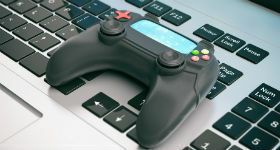 Technology Has Improved Online Gaming. This was the year Tim Berners Lee invented something he called the internet. He was able to write what he called HTML code, and, in the early days when he had to sell it to people, he said it was like lots of Microsoft Word documents all stitched up together on different computers. Berners Lee had combined text, sound, pictures and hyperlinks. When they all worked in unison, with a little bit of magic, the internet page was there to be used. Gamers were not far behind the early curve of course, they never are, let’s face it. Astonishingly, in the same year, a gaming studio called Stormfront released the first ever internet-compatible game. It was loosely based on the extended board game phenomena Dungeons and Dragons, which had first hit the world 1974, and took off massively in an offline way, selling millions of sets in the 70s and 80s. It was ripe for development and Stormfont saw the potential. They put out NeverWinter Nights. It was a moderate success as the technology was very early days, but of course without this first foray no one could have stood on the shoulders of this small but sturdy dwarf to build the giants of the then-unknown future (see below). Also in this year came a slew of basic games. Many people think pong came first, but they aren’t correct with that. Chess, bridge, and checkers were the first and earliest games that made it onto the new-fangled internet. There is a rumour that Bill Gates used to play bridge online in this year, but this isn’t confirmed. Sony launches the PlayStation in Japan. It is pretty successful from the start and word of mouth marketing becomes its biggest friend. It sold two millions units in Japan in its first year. The Sega company launched their own console, the Saturn, in the same year, and although it made a large dent in the gaming world, it never quite matched the amazing success of its rival. The then Microsoft CEO Bill Gates was asked at the time which console he preferred. He didn’t have a personal preference but he made an off-the-cuff remark about his coders preferring the Sony to the Sega. It was the kind of comment that would hang in the air, as if the Knights of the Round Table had let it be known publicly which was their preferred brand of sword. This unbuyable caché only helped the Sony PlayStation success snowball even further. Also Sony had a fairly open approach to third party developers, which enabled them to get a better quality of games flowing. Sega and Nintendo (the other big rivals of the mid-nineties era) were more walled-garden and isolationist in their approach which in the end led to their slight downturn. It’s interesting to compare that Apple and Amazon seem to have learned these lessons in regard to Apple Apps and Alexa Skills. Even though their core software is unreachable, they do let third parties into the outer reaches of their garden to play. Sega took the bold step of introducing a console which contained a modem, the Dreamcast. Two worlds collided and the first taste of online gaming was a reality. It was such early days that the full cultural impact wasn’t fully appreciated. The console sold well enough in Japan and in the US it actually sold even better thanks to a large marketing campaign. But Sony had their eye on their competitor and steadily built up hype for the PlayStation 2. This had a slightly suffocating effect on the Dreamcast, and by 2001 despite 9m worldwide sales, Sega decided to call it a day with their possibly-too-ahead-of-it’s-time console. But at least Sega set the touchpaper alight for combining wonderful gaming worlds with the accessibility and multi player access that global online connection provided. It could be argued strongly that this console provided the platform that triggered the MMORPGs revolution. The levels of competition it delivered could only be matched by the esports online betting take up around ten years later. In late 2001, a whole three years before release day, Blizzard Entertainment started talking about a MMORPG game called World of Warcraft. The build up had started. When the game was released much later in 2004 it seemed that every world was included in one game, welcome orcs, zombies, trolls, wizards, witches, trolls, dwarves, elves, gnomes, beasts, mythical creatures, mystical creature and even the odd human. It seems that a few sub-types of aliens were the only creatures that didn’t make the cut. Immense creative world building, sharp graphics and endless storylines gave the game a nearly endless number of fans. 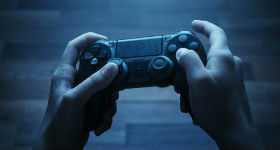 The game was the right product for the right time, as people enjoyed and understood the global reach of competition and afforded by the internet. All the backstory and history of both digital and analogue (think of the original 1974 Dungeons and Dragons board game) worlds was really united. It was a huge success. Grand Theft Auto would have to wait. In 2014 Blizzard Entertainment announced that they had reached the astonishing level of 100 million global registered users. This translated to an equally inspiring 9 billion dollars of revenue. The synergy of all the previous platforms, software and hardware had come together with mind boggling results.